Even though it seems like the entire world has landed in New York to congest the sidewalks, I’ve decided it’s time to get in the Holiday Spirit with an official lights tour. I mean, it’s been cold outside, there was snow at one point and people in my office have wrapped their cubicles like Christmas presents – the least I can do is look at the most iconic light displays in the world. *Warning: be prepared to walk slowly. It may even be wise to take this walk in the daytime if you tend to get cranky in crowds. 2. 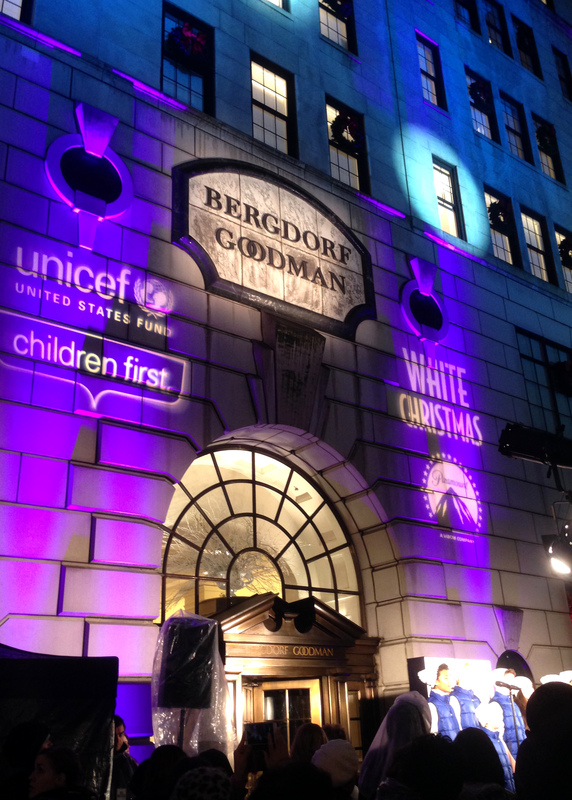 Bergdorf’s Holiday Window Display and UNICEF snowflake: I’ve heard that they spend time designing the Bergdorf windows for the entire year leading up to the unveiling. This year, I went to the opening ceremony for the windows and the UNICEF snowflake, which featured a performance by Tony Award Winner Nikki M. James, and majestic fireworks blasted from the top of the building. 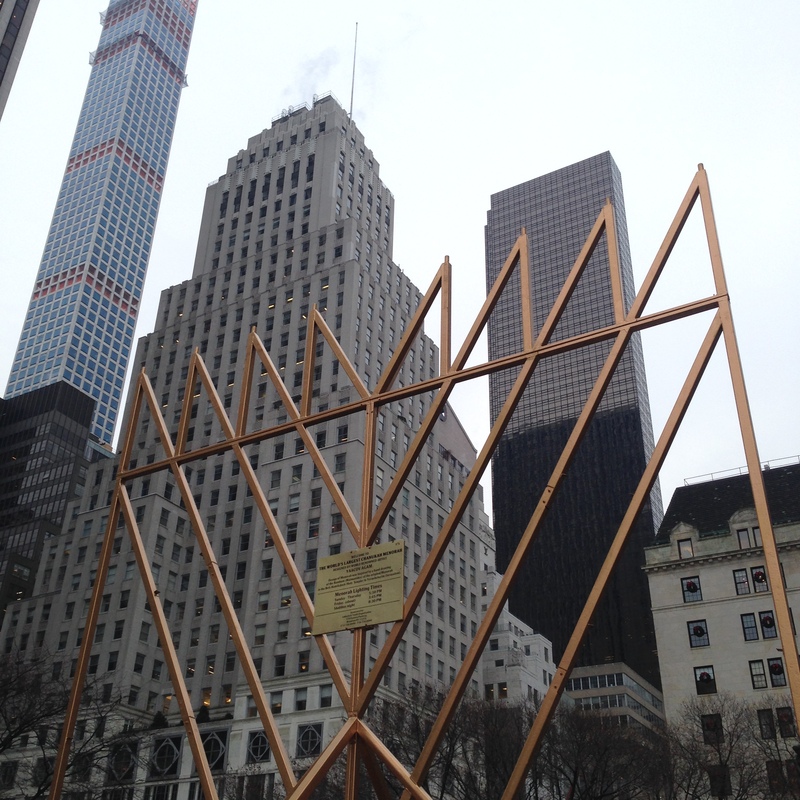 The giant snowflake is suspended in the middle of 57th street and 5th avenue, and can be seen glittering in the day or night. 3. 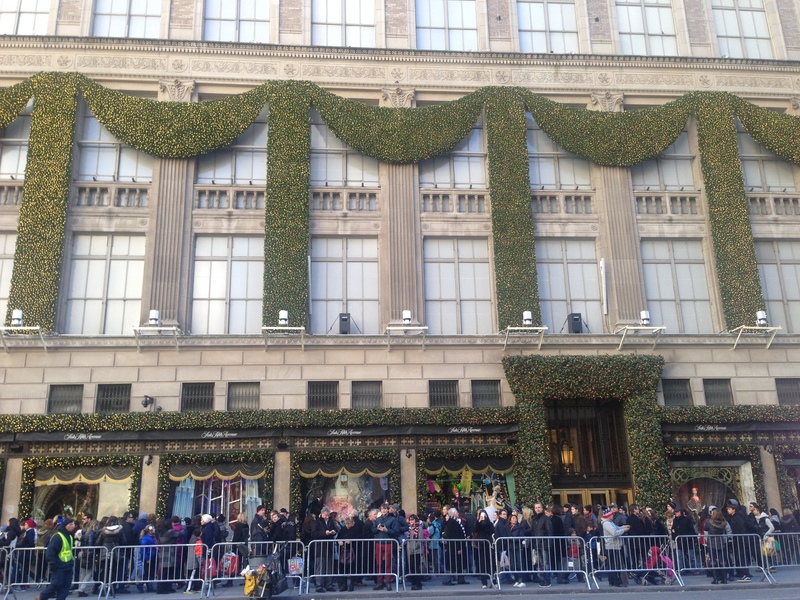 Tiffany & Co.: The always glamorous Tiffany’s display starts with a view of the bedazzled facade. As you get closer, you can see tiny holiday tableaus that feature Tiffany jewels. Take pictures…send to family members as subtle hints about last minute gifts. 4. 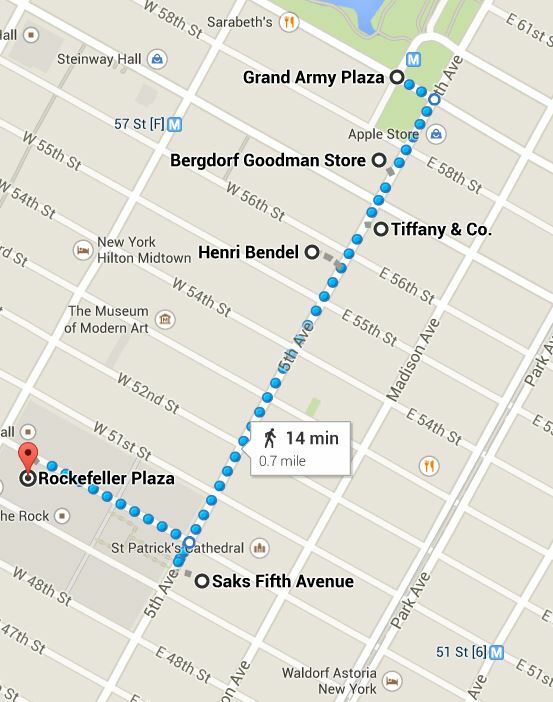 Henri Bendel windows: At this point, you’re halfway through the walk!!! This year’s theme at Henri Bendel is Enchanted Secret Garden. Not only are the window displays enthralling, but if you go inside you can see a 2-story surprise. 6. 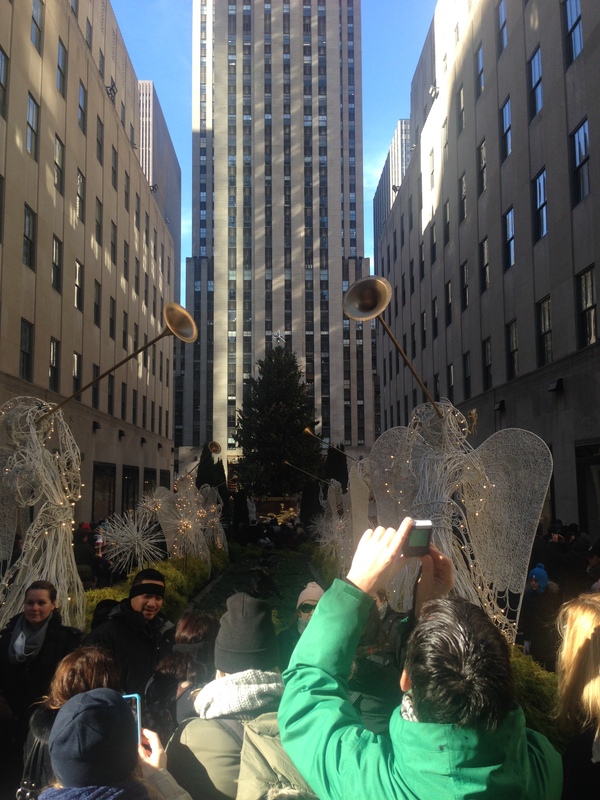 Rockefeller Center Christmas Tree: The perfect place to conclude our tour. The 85-foot tree took a 155-mile journey from Pennsylvania this year, to be adorned with 45,000 LED lights. The tree will be displayed until January 7th, 2015. From here, jump on the subway, go home and feel accomplished. Option #2: Google Maps: Those sneaky devils have allowed us to see the windows from the comfort of our own laptop. …a very tempting option.